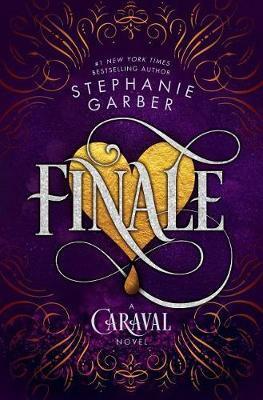 Welcome, welcome to Finale, the third and final book in Stephanie Garber's #1 New York Times bestselling Caraval series! It's been two months since the Fates were freed from a deck of cards, two months since Legend claimed the throne for his own, and two months since Tella discovered the boy she fell in love with doesn't really exist. With lives, empires, and hearts hanging in the balance, Tella must decide if she's going to trust Legend or a former enemy. After uncovering a secret that upends her life, Scarlett will need to do the impossible. And Legend has a choice to make that will forever change and define him.